DUBAI, U.A.E., 3 Feb 2016 – The Emirates Group, comprising Emirates airline and dnata, has released its fifth annual environmental report for 2014-15. Audited by PricewaterhouseCoopers, the report presents environmental performance data across a range of activities including airline operations, dnata’s cargo and ground handling businesses and a wide range of commercial activities on the ground – from engineering to catering. HH Sheikh Ahmed bin Saeed Al Maktoum, Chairman and Chief Executive, Emirates Airline and Group, said: “Emirates and dnata continue to invest in business growth in tandem with customer demand and global opportunities. As the scale of our operations expands, we are ever more conscious of our responsibility towards the environment and communities we serve. We are aware that our efforts to reduce resource use will not only reduce our environmental impact, but will also help build our business resilience. 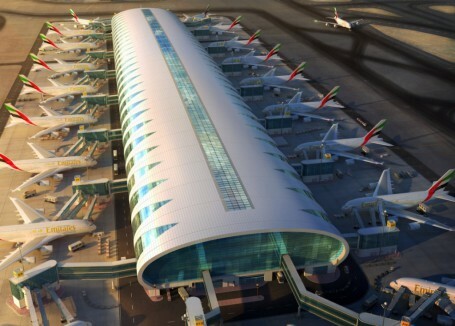 Airline operations constitute the main environmental impact of the Emirates Group. In 2014-15, Emirates continued to add new aircraft to its fleet, retire older aircraft, and prioritise fuel-saving operational techniques. Emirates’ flight operations specialists worked with agencies in countries as far afield as the USA, Austria, France, Malta, the Seychelles, Ethiopia, Kenya and Pakistan – as well as Dubai’s neighbouring emirate of Sharjah – to introduce or validate new performance-based navigation procedures, to help reduce fuel consumption and enhance operational safety. Emirates added 24 new aircraft and retired 10 older aircraft in 2014-15, maintaining an average fleet age of 75 months, or about half the industry average of 140 months. Key highlights this year include a continued reduction in aircraft noise emissions, a modest improvement in overall fleet fuel efficiency despite external operational challenges, and improvements in ground vehicle fuel efficiency. All of Emirates’ aircraft* meet or exceed Chapter 4 limits – the most stringent ICAO noise Standards, and new A380 and Boeing 777 deliveries during the year helped to further improve the fleet’s margin below the Chapter 4 limits. Emirates’ overall fuel efficiency in 2014-15 improved 1% to 0.3057 litres per tonne kilometre, 14% more efficient than the IATA fleet average fuel efficiency (IATA WATS 59th Edition). This was despite the impact of airspace closures caused by security concerns in many parts of the world, which led Emirates to fly longer routings to avoid these areas. The 80-day runway closure at Emirates’ hub in Dubai International Airport also meant that flights had to carry more contingency fuel than usual, thereby impacting fuel efficiency. On the ground, dnata in Dubai took delivery of 30 new electric tractors to replace diesel-powered vehicles for use at Dubai International Airport. The tractors, manufactured by TUG Technologies Corporation and Charlatte America, produce no air-polluting emissions. A change in the UAE government’s regulations also helped to bring down the amount of pollutants produced by ground vehicles. The Group’s ground transport fleet in the UAE began using low-sulphur diesel following the government’s announcement of mandatory new fuel specifications in 2014. The fuel contains 10 parts per million (ppm) of sulphur, a considerable reduction from the previous specification of 500 ppm, and will greatly reduce levels of particulate emissions.